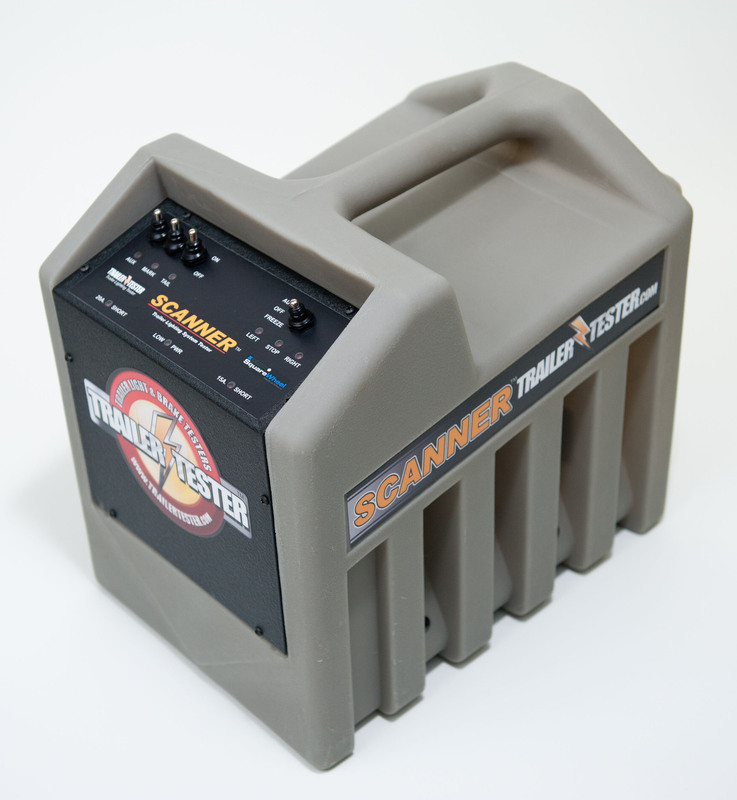 The RV Check is a fast, easy, low-cost way to test RV lighting and electric braking systems. In addition to powering an RV trailer’s lighting circuits for easy checking, your RV Check measures the current draw of the electric brake coils, and checks the break-away battery circuit. 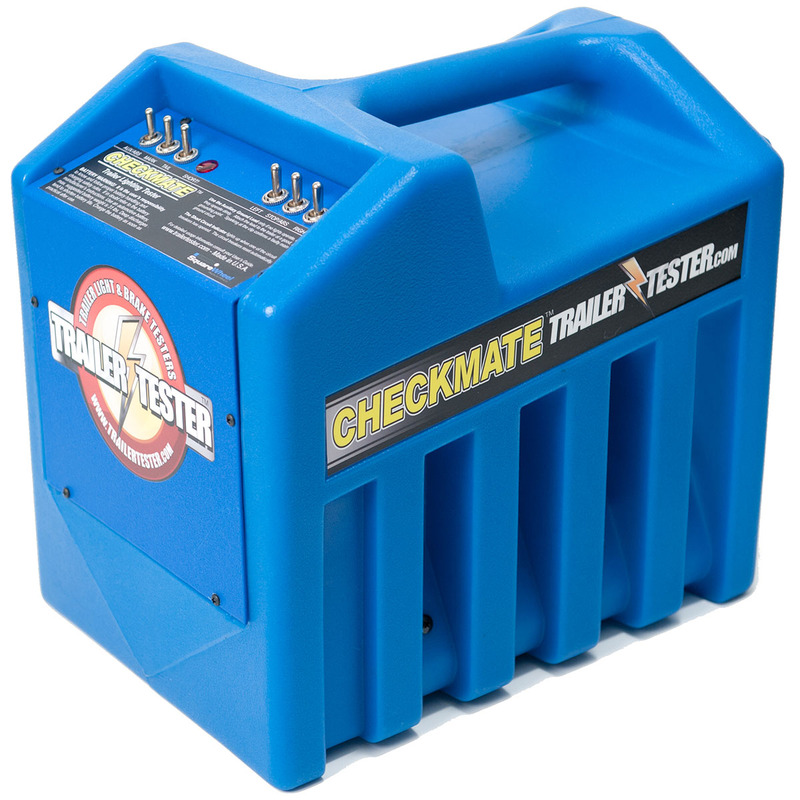 This rv light & electric brake system tester is totally portable and completely self-contained. There’s no set-up, no fooling around with loose batteries or alligator clips, and you’re not tethered to a line cord. Carrier-mounted RV 7- blade socket. Adapter for “Flat Four” connection included and tethered to carrier. 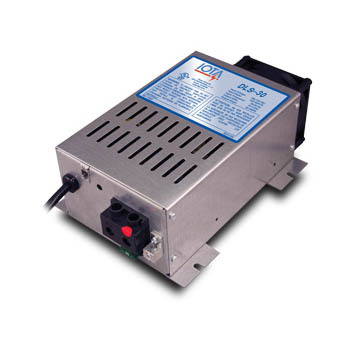 Built-in ammeter measures electric brake coil current draw. 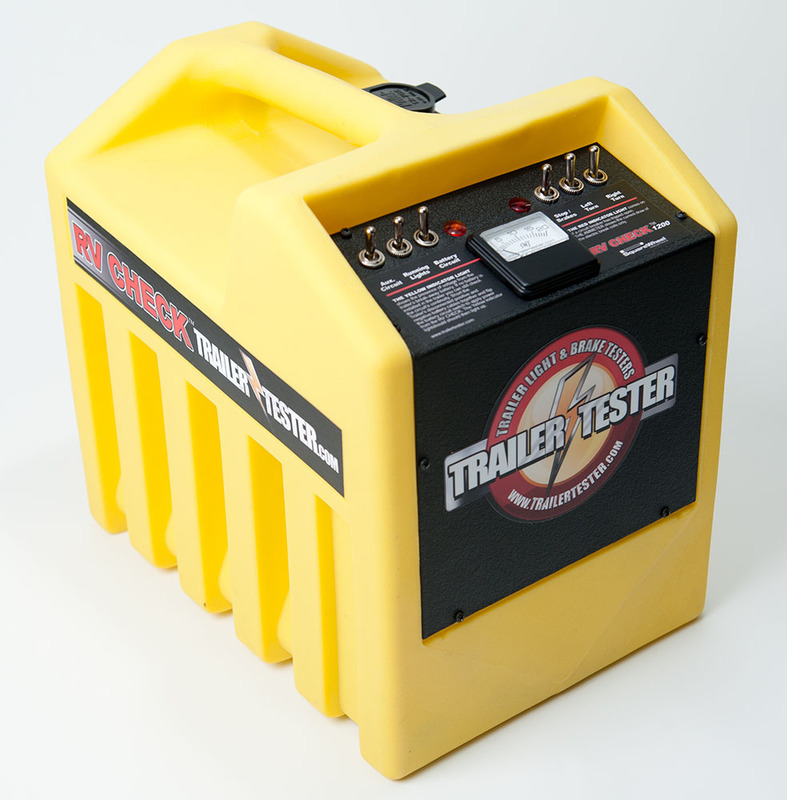 Special circuitry tests break-away battery circuit whether a battery is installed in the trailer or not. Flashing turn signal feeds with stoplight function. Tests turn signal/stoplight combined functions just like the towing vehicle would. Auto-reset circuit breakers w/ short circuit light. Carrier Single-piece medium-density polyethylene (LLDPE). Yellow finish. Flashing Feeds Toggle switches control left turn & right turn. Circuits are internally loaded & will flash into a dead circuit for easy troubleshooting.